We see leadership as context-specific. Leaders do not perform in a vacuum; they operate in conjunction with other individuals and groups within a larger organization or system. Leadership is also not static, but dynamic and ever-changing. As a result, we do not adhere to a single theory or "guru-led" model of leadership but instead take a multidisciplinary, evidence-based approach, drawing upon the evolving research and thinking within the fields of management, business, psychology and organizational development. 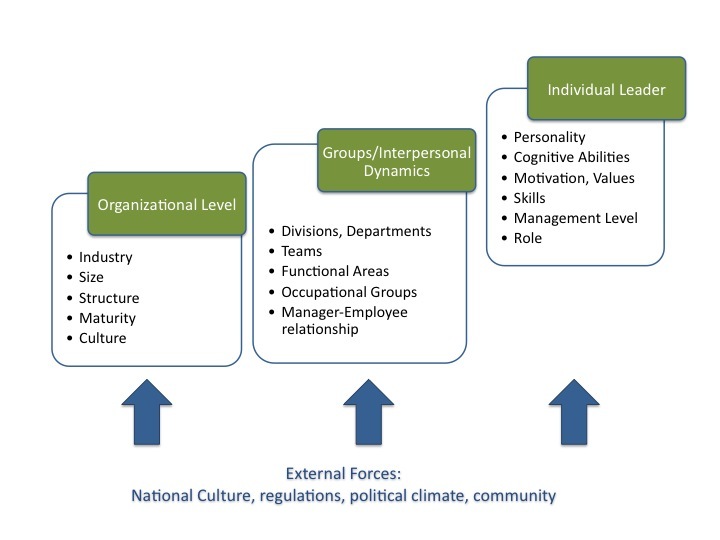 In our work we always consider the interdependency of the following elements: the individual leader; interpersonal/group dynamics; organization-wide features; and, the larger environment in which the organization is embedded.